The are a number of Australian’s playing in the NFL, some of which we know well and others not so much. As NFL training camp is only a week or so away we give you the list of where you can find all the Australians. We also take a look at the chances of each player making it to the final 53 man roster. 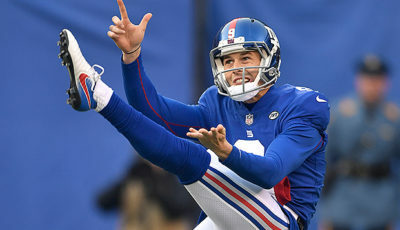 Berry is going into his 3rd and final year of the $1.5mil contract he signed back in 2015 when he won the punting job from fellow Australian Brad Wing. Berry played all 16 games last season and a 45.6 yd ave, 25 inside 20s and a long of 64 yards. The Steelers have not signed another punter for training camp this season so I am sure we will see Berry line up at punter in week one of the 2017 season. 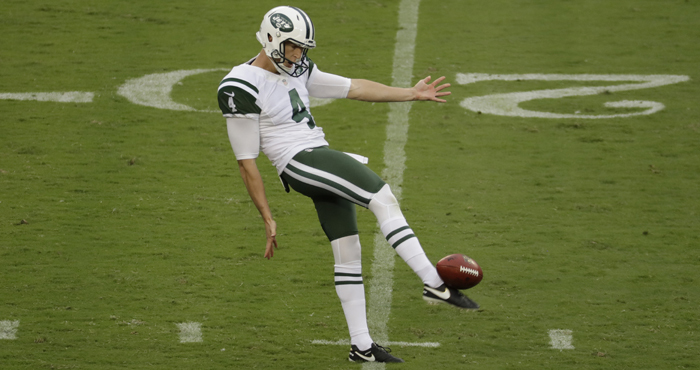 After being drafted in the 7th Round and 235th overall by the Jets in the 2016 draft, Edwards beat out fellow Australian Tom Hackett to win the punting job last off season. Edwards had a solid rookie campaign with a 43.1 yd ave, 24 inside 20s and a long of 59 yards. In a 4 year deal worth over $2 mil the Jets have not signed any competition for Edwards so we should see him in 2017. In many nfl pundits minds, Elway and the Broncos reached up to take Gotsis in the 2nd round in 2016 especially coming off an ACL tear. That being said Gotsis played 14 games in the 2016 season and had 14 combined tackles and no sacks. Gotsis has a fantastic frame with strong motor and above average athleticism. However, he needs to continue to add strength to his core and lower half in order to better anchor against double teams. By all reports, Gotsis has had a fantastic off season and will battle for a starting spot in 2017. Out of Arkansas Irwin-Hill will be in camp with the Dallas Cowboys. Previously the Victorian had been in camp with the Colts after stints in Indianapolis during the 2015 and 2016 off season and training camps. In Indy Irwin-Hill was up against Pat McAfee which was a big ask and in Dallas he will battle with Chris Jones again a really tough battle. I hope Irwin-Hill can win the punter’s job but I just can’t see it. 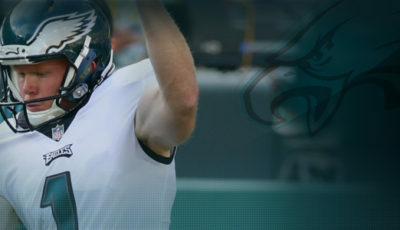 Signed as an undrafted free agent out of Ohio State I feel Johnston has a real chance of winning the Eagles punting job. 39 year old Donnie Jones is the incumbent punter at the Eagles, who is a 14 venture and will make $1.25 mil in 2017. If Johnson can have similar production to Jones in training camp and the preseason the Eagles could cut Jones and save themselves $900k, I can see this happening. Blake Muir has had an introduction to the NFL, unlike many others. Coming out of Baylor where he was named on the 2015 All-Big 12, first team Muir has a solid collection of NFL jerseys in his short career. Blake started at the 49ers as an undrafted free agent but was waived in August 2016, Green Bay then gave him a tryout and an hour later added him to the practice squad. The stop in Green Bay was also short as he was waived and then signed to the Atlanta Falcons practice squad who went on to make the Superbowl. During the 2016 offseason, Muir signed with the Indianapolis Colts where he will battle for a roster spot. Currently, Blake is low on the Colts depth chart but he will get his chance to prove himself and earn a roster spot. 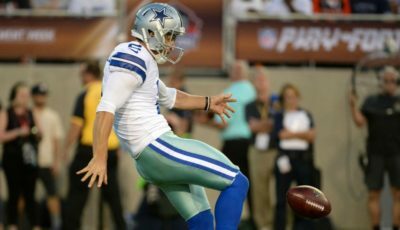 Wing was traded to the New York Giants from the Pittsburgh Steelers after the Giants cut long time punter Steve Weatherford who Wing would replace. Wing has had two fantastic seasons in New York who has had an average of 46.2 yd, a long of 63 yd and an impressive 28 inside 20s in 2016. The Giants have chosen not to bring in any competition for Wing in 2017 so we will see him punting for the G Men this season. Originally out of Stanford, Yankey has bounced around the league on practice squads until last season. The Carolina Panthers elevated the Yankey to the active roster last in the season and he was active for 6 games. He made appearances mostly to spell Chris Scott at right guard, but Yankey didn’t see much action on the field. He will go into Panthers training camp looking to make the final roster.